Vietnamese girls meet Viet Kieu at online dating services. Let me explain the term ‘Viet Kieu’. 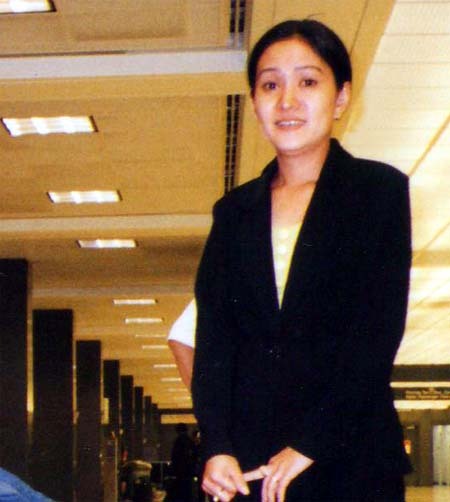 ‘Viet Kieu is a popular term that describes a group of Vietnamese people addressing in foreign countries including America, Canada, Australia, Italy, Germany, and others. People in Vietnam usually call them “Viet Kieu”. Every year, there are thousands of Viet Kieu who go back to visit Vietnam, either in Saigon, Ho Chi Minh, Ha Noi, or other cities. The peak time that these Viet Kieu go there is around Vietnam New Year Eve on January. Some of them go there to visit their relatives and some go there to get married. They meet each other through the introduction from their friends or relatives. In addition, they meet with each other through Vietnamese dating sites. On this article, I focus on how Vietnamese girls meet Viet Kieu online. Looking for love and relationship online has become a phenomenon for Vietnamese singles. Popular dating sites created thousands of couples a year. Viet Kieu posts their personal ads on the Internet to look for Vietnamese girls. Most of them have a computer at home so the registration for a profile and search for girls are too convenient. They can do anytime they like. Vietnamese girls also post their profiles online to look for Viet Kieu. If a girl has a computer at home, she can register for a profile and search for Viet Kieu directly at home. If she does not have a computer, then she has to go to the Internet club to do this work. She must pay a small fee for using the Internet service. Viet Kieu usually writes their personal ads in English because they are comfortable with this language. Vietnamese women write their profiles in Vietnam language because they are comfortable with this language. Some women in Vietnam write their ads in English because they want to look for both Viet Kieu and foreigners. Ads in English language are viewed more than ads in Vietnamese language. Since Vietnam women are too popular to the world today, many Western men look for Vietnamese wives. They even post beautiful photos on their profiles. Thousands of Viet Kieu and Vietnamese women get married with each other every year. This has become a phenomenon these days. The main reason that a Viet Kieu come back to Vietnam and gets married is because he wants a young wife. Some Vietnamese women get married with the husbands who are older than them like 20 or 30 years old. In other words, a 60-years-old Vietnamese man can get married with a 25-years-old wife. You can see the difference in age for these marriages. Why do these girls want older guys like that? There is one primary thing that a younger Vietnamese wife wants from her older husband, that is, an opportunity to make money in a Western nation. In other words, when she comes to a Western country, she has a lot of opportunities to work and make money. In fact, she will have a better future in a Western country. Vietnamese girls in USA (Dan ba Vietnam o My) are more powerful and responsible. One primary reason is because they educated the Western culture. Responsibility is the first priority of all American people to take care of themselves and their family. When Viet girls who live here for a few years, they learn this custom. They work hard and they take care of their family. I have seen some single Vietnamese mothers who can take care of two or three young children with no problem. They work full time and they raise their children without any support from their ex-husbands. This is a great example of Vietnam girls who live in the United States. They are more responsible than girls who currently live in Saigon, Hanoi, TPHCM, Vietnam. Viet girls in Vietnam ( Con gai Viet) follow the traditional custom. The man goes out to make money and the woman stays home to take care of the children and housework. This is a good custom, isn’t it? In other words, most Vietnamese women in Vietnam depends on their husbands for everything. So, even if the husband treat bad to his wife, she will not dare to leave him. She does not have money. This is the first thing she worries about. I have seen many Vietnamese husbands beat up their wives in the house and in public, these wives still stay with their husbands. They live as an dependant from their men, so they can not leave out the house. Vietnamese girls in Vietnam country depends on their husbands for a living. Vietnamese women in America (Con gai Vietnam o Hoa Ky) work hard to take care of their family, either by themselves or with the help from their husband. It is just a different society of each nation. In USA, Viet women have to work hard because of the higher living condition here, such as house, mortages, finance, and other expenses. They have to work to live on this great country. When they work and live independently like a man, they are not afraid of their men. They can take care of themselves easily. Most Vietnamese people in here get good opportunities in the United States so they can make good money and live in a high condition. Vietnamese women in America work hard and still take a good care of their housework. Women in Vietnam (Phu nu Vietnam) usually stay home after married. They take care of the housework and children. The husband works to take care of the family so he is responsible for the expense in the family. He is the only one who can make money. Vietnamese wives respect their husbands because of such reasons. Generally speaking, Viet girls in USA are more powerful because they can speak what they think as well as share ideas with their husbands equally. On the other hand, most girls in Vietnam can’t speak the truth. They can’t share ideas with their husbands because their ideas are not respected. Most of the time, the husband does not listen to his wife. This happens a lot in a developing country like Vietnam.